About a quarter mile down a narrow gravel drive somewhere in Copley, Ohio, groups of kids are scattered about a 104 acre plot of land. Some follow a guide, hiking along the tree line of a dense wooded area. Others are huddled around computers set up by a vibrant green algae covered marsh. Lara Roketenetz, Field Station Manager for the University of Akron, is busy directing volunteers, students and teachers. This is the scene at Panzner Wetland Wildlife Reserve (PWWR) on a chilly October afternoon. 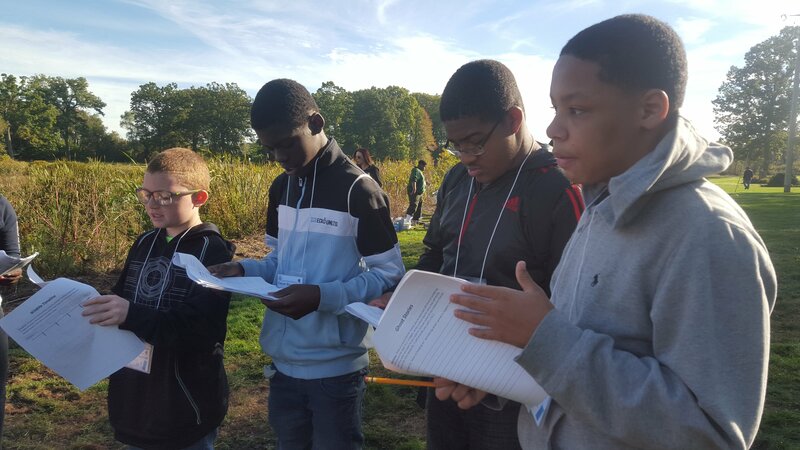 For five days in early October, the wildlife reserve served as a unique classroom for nearly 800 Buchtel CLC students, according to Roketenetz. The Panzner family farmed on this land for 84 years. But in 1999, brothers Steve and Jerry Panzner decided to get out of the farming business. Rather than sell the land to a private company for a hefty sum, they decided to begin the process of returning the land to its natural state. More than 16 years later, what was once flat farmland is now a thriving wetlands and a sanctuary for unique wildlife. They had two primary motivations for choosing the path that they did: preservation and education. “This is about the preservation of a piece of Ohio, the Copley swamp, that is greatly needed,” Steve Panzner said. The Panzners also believe that education is vitally important to preservation efforts. Education leads to a better understanding of the importance of preservation and will lead to the development of strategies to better preserve natural environments. So, in 2010, the brothers donated the land to the University of Akron for research and education purposes. Steve Panzner is thrilled to see younger students getting a hands on learning experiences on the reserve. “When you’re bringing this nature to kids that haven’t experienced it, it’s really cool,” he said. He hopes that the idea will spread to other local schools. Buchtel teacher Dana Starvaggi first brought her 7th grade class to PWWR in 2014 as part of the school’s Project Based Learning curriculum after being introduced to University of Akron professor Dr. Randy Mitchell. Because of the success and positive feedback from the students that took part in that experience, the field trip has grown to include the entire school. Thanks in part to a grant that Starvaggi helped procure from the GAR Foundation, and with the help of Mitchell, Roketenetz and a handfull of recruited volunteers, the entire 7th-12th grade school was able to take the trip to PWWR this year. Students spend the day rotating around several different learning stations. Not only do they learn about environmental sciences, performing experiments at 11th grade teacher Colin Grindall’s soil testing station, but all fields of study were incorporated into the learning experience. Students worked on murals at an art station, were inspired to create music by the sounds of the natural environment and observed the natural land to construct stories about the struggles of survival early immigrants would have on this land at a station dedicated to language arts. The response from the students has been tremendous. “Every student has said something positive about the experience,” Grindall said. 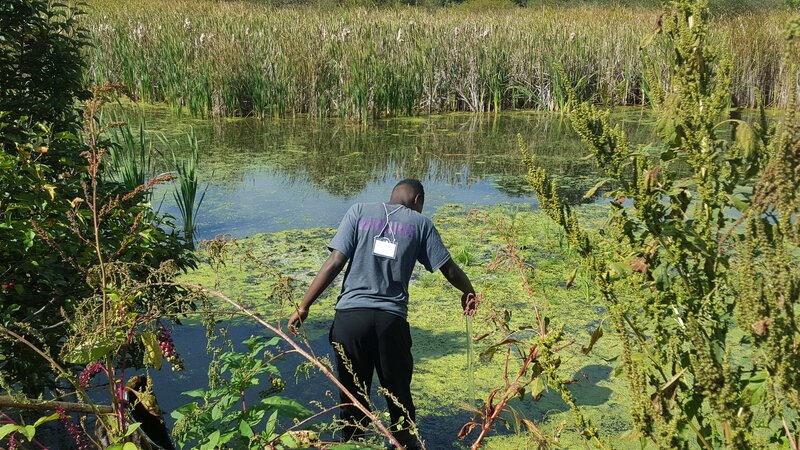 11th grade student Michael Connalley enjoyed the microscope station where students searched for microorganisms found in the habitat. “We do learn a lot in the classroom. But this is a different. It’s nice to have the hands-on experience,” said Connalley. Starvaggi hopes that the lessons learned at the reserve will provide the building blocks for a bigger learning project. 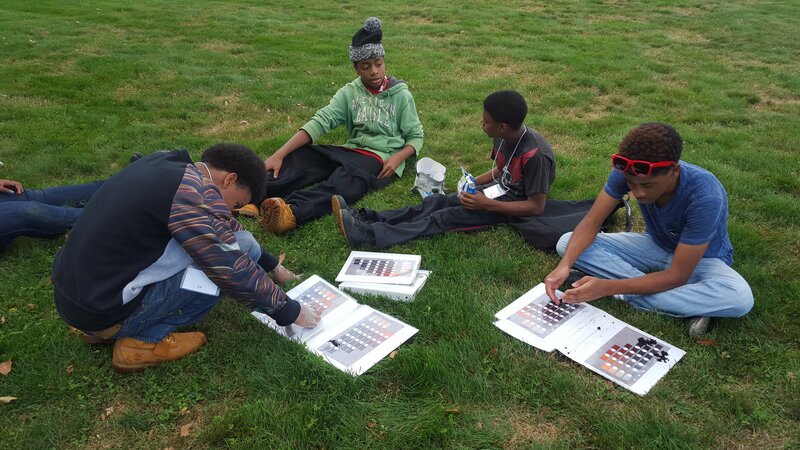 Students will apply the knowledge they gained to construct gardens and restore natural environment on Buchtel’s school grounds. Using mostly donated materials, Starvaggi’s students will begin building five raised garden beds, the start of a community garden space, this month. Starvaggi believes that with project based learning, “Students will become empowered through the process of working together and with experts and professionals to become responsible stewards of the land.” She is in the process of securing more grant funding to expand project based learning even further at Buchtel.